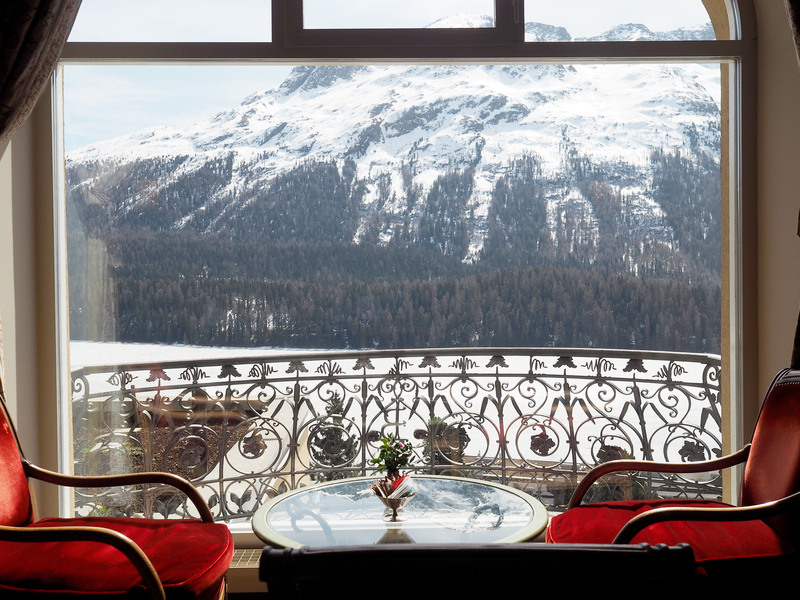 As a location, St Moritz is synonymous with glamour, glitz and wealth. Renowned for being the winter playground of the rich and famous, it plays host to a number of sporting events, designer stores and award-winning restaurants – and it regularly welcomes Kate Moss, George Clooney, The Beckham’s and even royalty onto it’s neighbouring slopes. It’s certainly a place that’s always intrigued me that’s for sure. But as a relatively novice skier, I’d previously been too afraid to suggest a visit in case everyone else I found myself adventuring with were seasoned black-run enthusiasts. And with my luck, that would almost certainly have been the case. This did previously happen on a trip when I was in my teens and I just about lived to tell the tell. I vowed never again to let this happen. 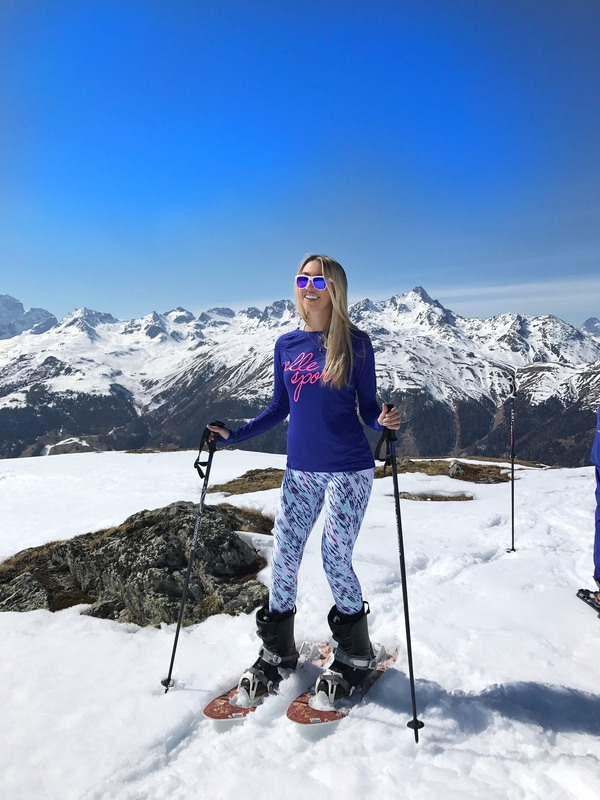 But then a trip with The Blogger Programme popped up – an opportunity to explore the luxurious ski resort, without any skiing whatsoever on the agenda. So as you can imagine, my bags were packed (with as many ‘fashion/snow’ suitable items I could find) before I even said yes. I mean, I wanted to find out just why this place was so popular with carefree fur-clad socialites and A-List celebs. What is so special about St Moritz? Could the average Joe (is there a female equivalent to ‘Average Joe’ – let’s go with Average Susan), sorry average Susan, really enjoy it without breaking the bank balance? And for a less-than-confident skier, can you enjoy what the alpine town has to offer without hitting the slopes? The Kulm Hotel is probably one of the most famous (and expensive) lodging offerings in the town, with an intriguing history behind it – which is often argued to have been the beginnings of the winter holiday success for this otherwise previously unknown town. In 1864, hotelier Johannes Badrutt made a bet with an English family who were spending their summer at the Kulm. He enthused about how beautiful the town was in the Winter months, with stunning snow blanketed landscapes and yet basking sunshine during daylight hours. The family were unconvinced as they knew what English winters involved all too well but agreed to come and visit on the basis that if they did not enjoy their stay, Mr Badrutt would reimburse their entire travel expenses. In those days, to get to St Moritz took about a week – and a mixture of boats and horse & carts, so it was quite a commitment. The Englishmen returned for the Christmas period – and they didn’t leave until Easter. From there on, they spread the word about the beauty of St Moritz and so winter tourism was born! 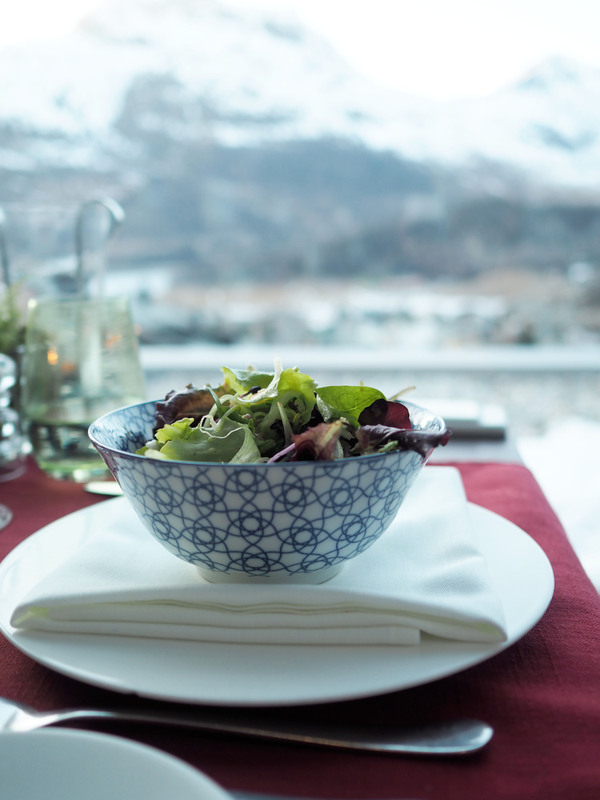 While we visited the Kulm on our tour of the town, we actually stayed at the more modern Nira Alpina for the duration of our trip – which offers beautiful pine-clad 4 star suites built into the Corvatsch mountain side, overlooking the stunning Lake Silvaplana. The hotel is less pretentious than other offerings in St Moritz, but by no means does it scrimp on the luxury aspect. Rather, it combines a more authentic experience with the glitz and glamour, with all formalities ushered aside to ensure you feel at home, rather than on your best behaviour. 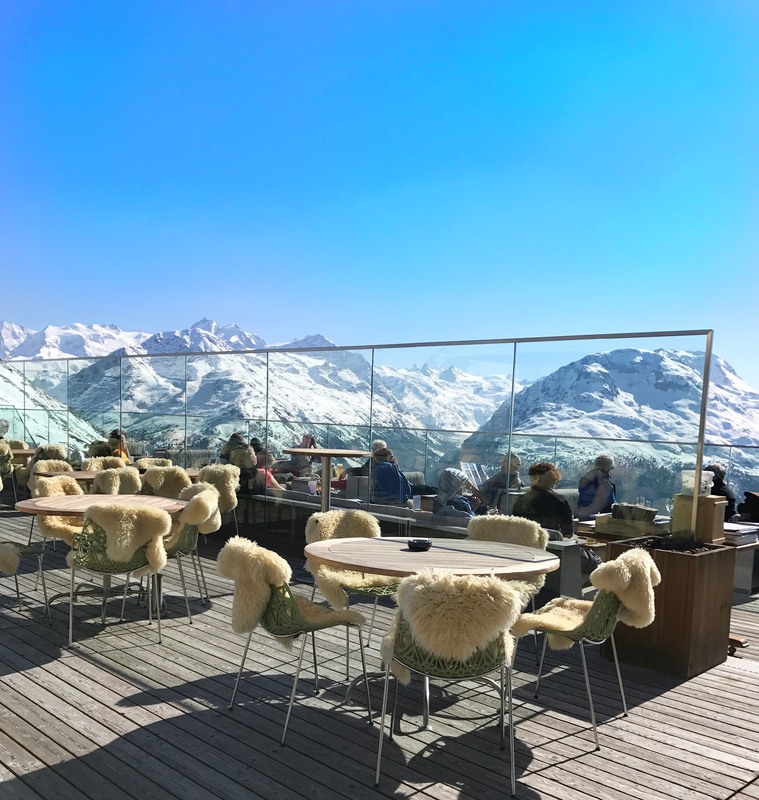 With an on-site bakery, rooftop cocktail bar and restaurant, and spa which overlooks the mountain-side, it’s your alpine haven, perfectly located to make the most out of your trip. Skiers can jump straight out of bed and onto the slopes (you can pretty much see them from your window) while those with intent to unwind can head to the spa. The beds are possibly the comfiest I’ve ever slept in – and when you get to wake up to such an incredible view every morning, it’s almost impossible to not have a good day! Plus, Cosabella kitted us out with silky new pj’s for the trip. And is there anything more satisfying than falling asleep in silky new nightwear and crisp white bed linen? Probably not. Understandably, the clientele that this place has means that the food offerings are pretty out of this world! 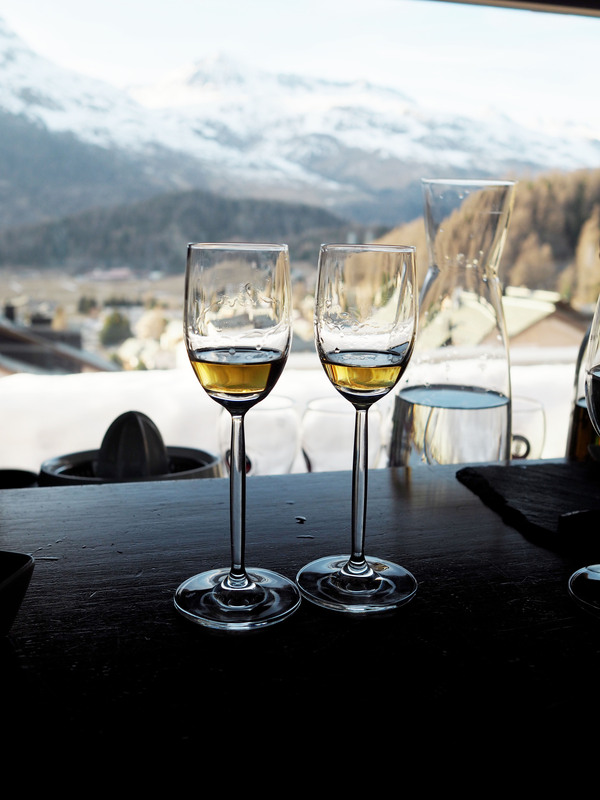 In fact, many of the experiences we had during our trip were food (or drink related) and so definitely count as alternative activities to hitting the slopes. Although if you’re that way inclined, you could squeeze in both! One thing that you won’t want to miss is a Caviar Tasting session at Glattfelder, a third-generation family run business nestled in the heart of St Moritz and with an A-List fanbase. If you book in for an afternoon with the store’s owner Nina, you’ll be sure to leave equipped with everything there is to know about the fascinating farming process and the necessary worldwide trips to keep on top of the quality. Did you know that the late-maturing sturgeon doesn’t spawn until they are 15 or 20 years old (and even then, it doesn’t happen every year), which is the reason caviar is so ‘rare’ and retains its luxurious status. If fish eggs aren’t your thing, then that’s totally fine (it’s not mine either, although I did find the experience fascinating and definitely worthwhile – enjoyed with a glass of Laurent Perrier in hand), then there are plenty more options for the fussy foodie. 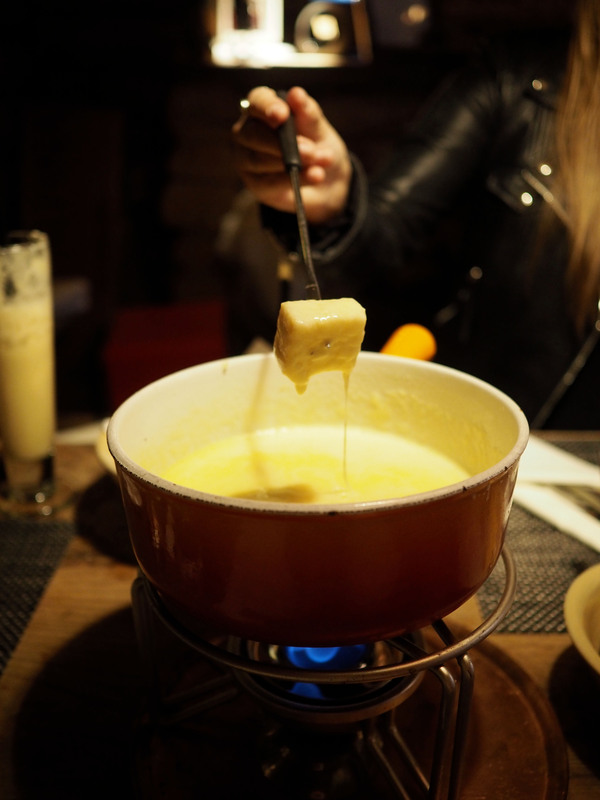 Perhaps you could book our Nira Alpina’s very own Swiss Fondue Alpine Lodge hut for a memorable and special evening. 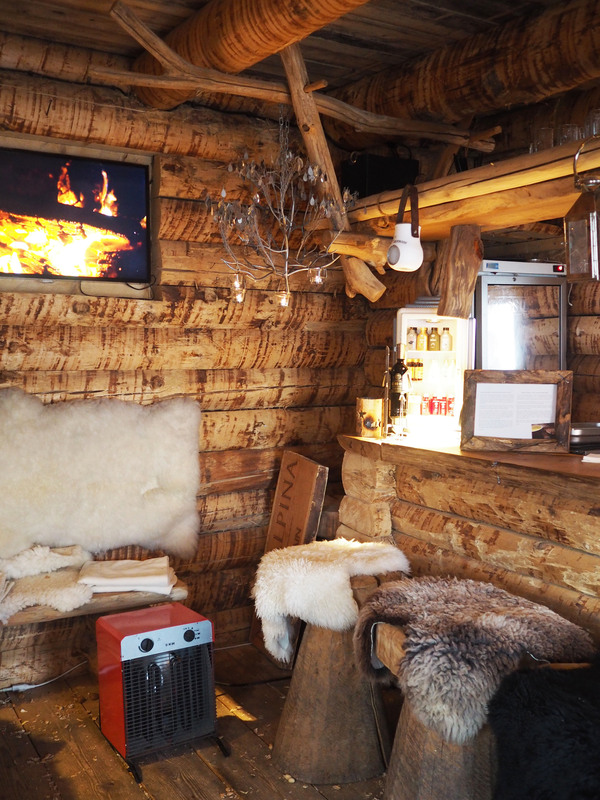 Seating a maximum of ten people, this private dining experience is one you won’t forget, as you cosy up in the pine-clad hut, twirling your bread into a pot of bubbling hot cheese. The wooden floor is littered with peanut shells for a thoroughly authentic mountain hut touch! A spot of whisky tasting at the hotel’s rooftop bar is also worth reserving an evening for, as the bar staff certainly know their stuff – and even have their own additions from their sister hotel in Scotland! We tried Japanese whisky, a whisky where only twenty bottles have ever been made – and a highly potent one! I can say I gained a whole new appreciation for what is involved in the making of this popular drink, however I’m not sure I’m a convert. Especially as the hotel also whip up the very best Pina Colada known to man. Who says you have to exclusively enjoy this cocktail surrounded by palm trees and sand? 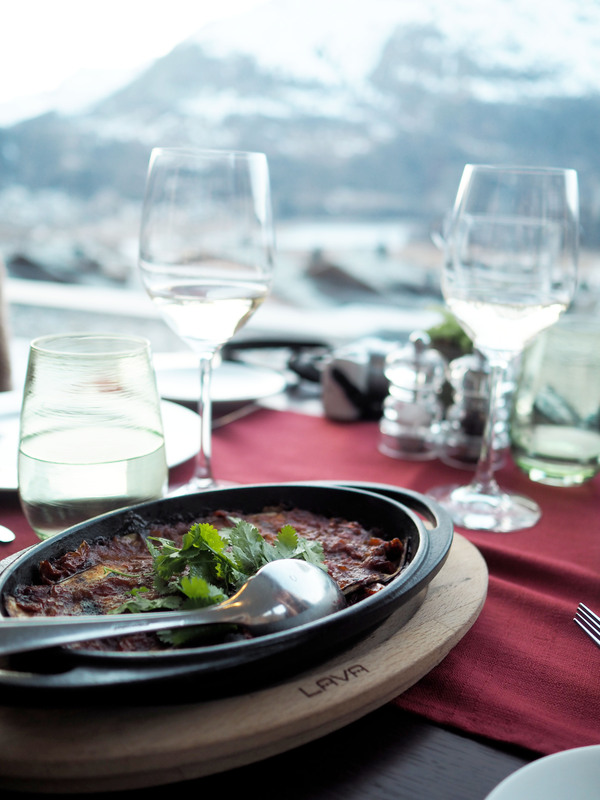 It’s just as delicious with a snowy mountain accompaniment. Okay, so the most important one for sure – what can you do during the ski season, that doesn’t involve hurtling down a mountain on two (or one) flat planks, with an utterly terrified look on your face? Well in actual fact, there’s more to do than I initially thought. For one, there’s a whole lott’a shopping to be done, if you’re that way inclined and have a few thousand to blow. You won’t find anything non-consumable for less than a few hundred euros, so it’s not the cheapest of activities to indulge in – but of course, you could switch to ‘window shopping’ for a more affordable option. There was something very surreal about popping into Gucci, Prada and Valentino and seeing the familiar designs, classic decor and luxurious interiors and then stepping outside, to be greeted by these vast snowy tipped mountains. For picking up a few souvenirs, head to Läderach – the finest chocolatier in all of St Moritz. Because lets face it, who wants a fridge magnet, keyring or postcard when they can have Swiss chocolate? If you’re after something a little more adrenaline inducing, you could opt for a little go on the toboggan run on Muottas Muragl. I can’t say I tried this personally (can you imagine what this what look like – HILARIOUS!) but with a 700m gradual slope and sweeping bends, you can be rest assured you won’t leave feeling disappointed. Well, that is if you were expecting something crazy! 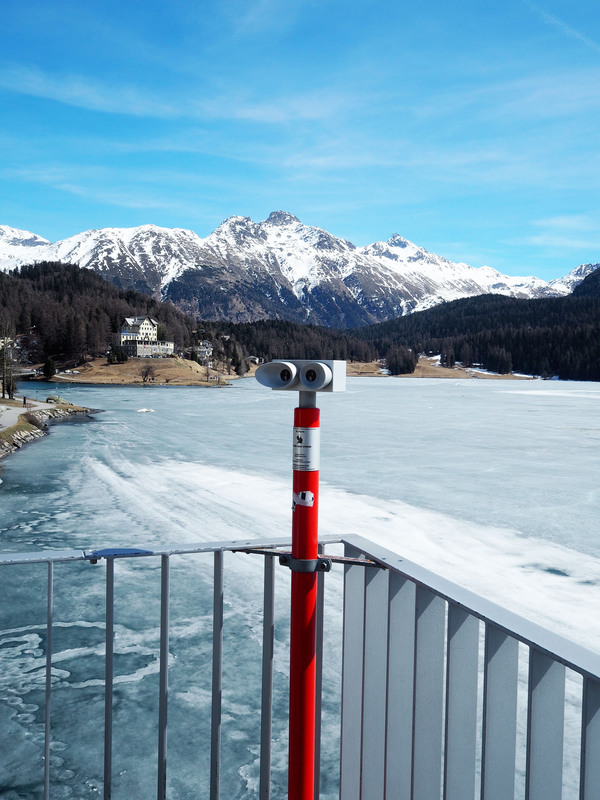 If you’d prefer to opt for something a teeny bit less dangerous, you could go ice skating on one of the giant frozen lakes in St Moritz. Tents are pitched up beside the ice, offering you the chance to hire a pair of skates (or sip some much needed mulled-wine-shaped dutch courage) and store your belongings. Whether you’re a novice or the next Torvill & Dean, it’s an activity that can be enjoyed by guests of all ages – and once you get part the ‘OMG what are these weird things on my feet and how do I stand up’ stage, it’s so much fun! 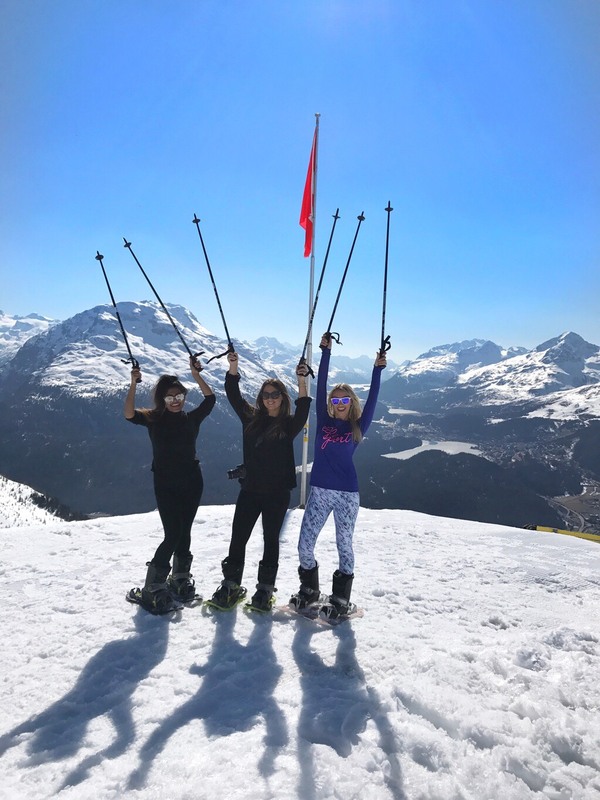 However, if you don’t want to miss out on the amazing cable car journey, or being 2500 metres above sea level and surrounded by stunning snowy topped mountains – then snow yoga may be one to add to your to-do list. Whether you’re a yoga fanatic or not (I mostly veer towards the ‘not’), you’ll soon become immersed in this incredibly unique activity as you perfect your downward dog on the mountain-side and practice your breathing patterns in the freshest air you’ll probably ever experience. I will admit, this activity is not for those who want a totally relaxing time – because there is quite a bit of walking involved, wearing fit-for-purpose ‘snow shoes’ on the ends of your bulky snow boots. It’s certainly not your barely-there Sweaty Betty kit that you’re used to. However there was something incredibly calming and overwhelming serene about being surrounded entirely by mountains and learning to enjoy the silence that being up so high enables. You return to your hotel feeling extremely zen, with a refreshed mind and a totally new perspective on your day. It can only be booked via Suvretta Sports, however they can either devise a session for you and your group and accompany you on the slopes – or you can follow their pre-planned tour individually, with snow yoga poses and ‘peak’ locations all mapped out for you on paper. One thing I came to realise on the journey from the airport to the town, was exactly why the celebrities and royals love St Moritz quite as much as they do. Because quite simply, it’s miles (and I mean miles) away from anything. Secluded in a picturesque valley, surrounded by overwhelming mountains, there’s a sense of being completely secluded from reality and in a world of your very own. The area is situated four hours away from Zurich airport by train or three hours by car – although the cost of a transfer will quite literally blow you off your *non-existent* skis – 700 euros, yup not kidding. I’d recommend taking the RhB train journey, because not only will you save enough money to treat yourself to another holiday, but you’ll also enjoy taking in the breath-taking route, which is one of the only train journeys in the world to have a UNESCO World Heritage status! There are points where you’re not quite sure how on earth the train is snaking it’s way up the mountain (there’s some seriously talented engineering that’s gone on, that’s for sure) but it’s a commute like no other, enjoyed even more so with vast panoramic windows that make you feel as though you’re tunnelling through some sort of incredible Disney ride. Only there’s no creepy cartoon robots poking out of the glaciers or peeping out of the snowy landscapes. Have you ever visited St Moritz – or is it somewhere that’s on your bucket list? 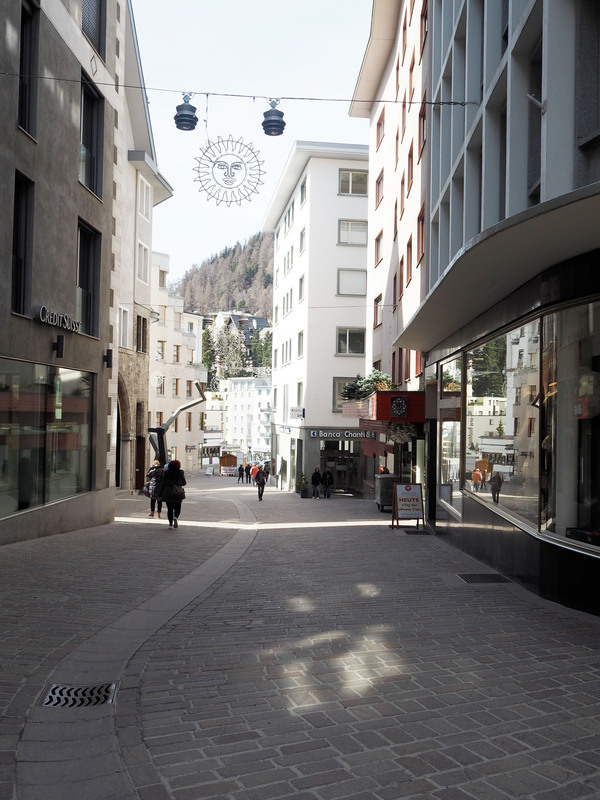 The expenses and itinerary for this trip were covered by The Blogger Programme & Nira Alpina. However I have not been compensated to talk about the trip, nor have my views been compromised in any way.